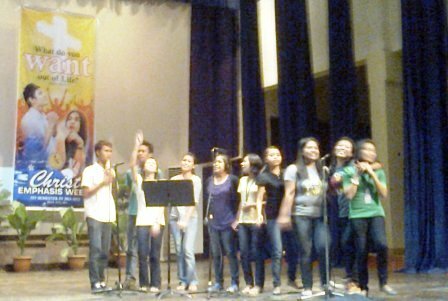 Christ Emphasis Week will never be complete without the support of praise and worship bands that enliven the convocations. Among the many bands that are participating every CEW season is the University Church Praise and Worship Band. The University Church Praise and Worship Band took time to learn “Life Can Begin Again” so that they could lead the students in learning and singing the theme song. 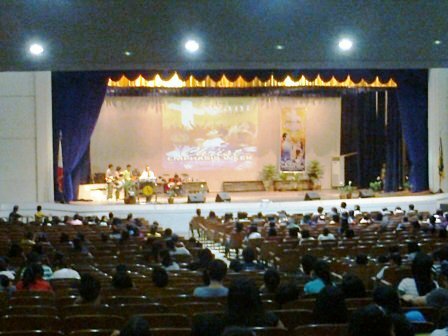 The Filamer Christian University Praise and Worship Band rendered the theme song on opening day convocation on July 18 only. 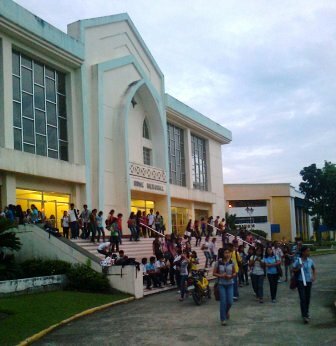 The 2011 Christ Emphasis Week at Central Philippine University has ended. The guest speakers have gone home, back to their respective mission field. Their task of sharing the Gospel of Christ is over, at least for the CPU’s CEW season. As you listen to the UC Praise and Worship Band version of “Life Can Begin Again”, try to think about the many students who have found their new life in Christ. What would become of them? Definitely, there are follow-up programs that will be implemented. 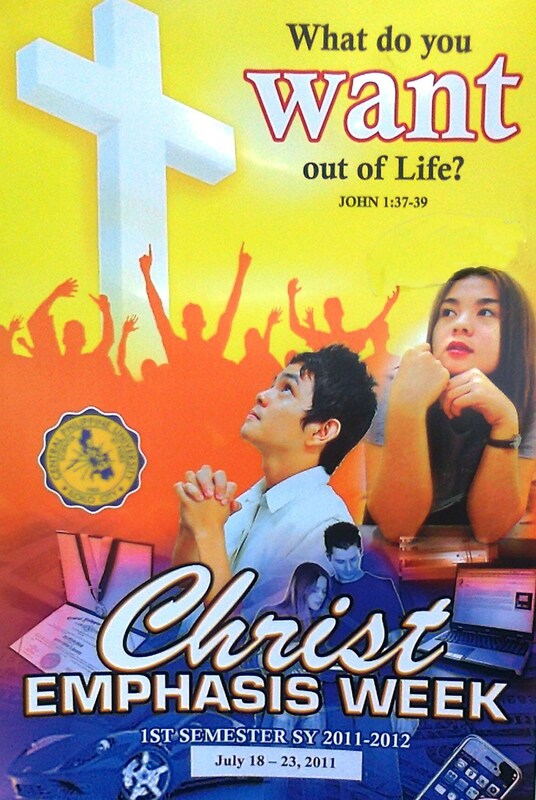 Students must watch out for the schedules on the bulletin board or else visit the Office of the Chaplain. 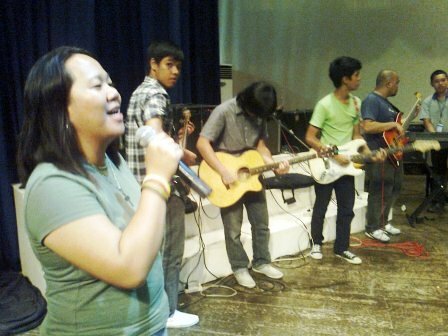 "I want to let others know how great our God is...by playing His music, His instruments, His drums..."
Known to me as Jojo, Engr. 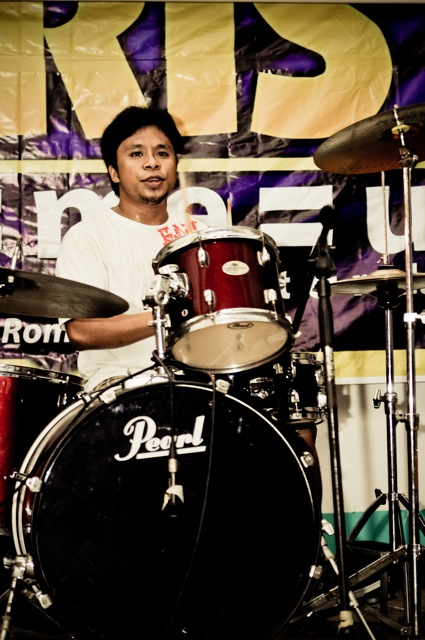 Filomeno Sonza, Jr. had played the drums with praise and worship bands since he was in high school. 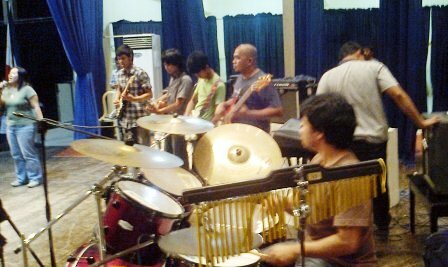 It is a blessing to see him now still giving lively drum beats with the University Church Praise and Worship Band. I asked him why do you keep on playing with praise and worship bands, like the University Church Praise and Worship Band?